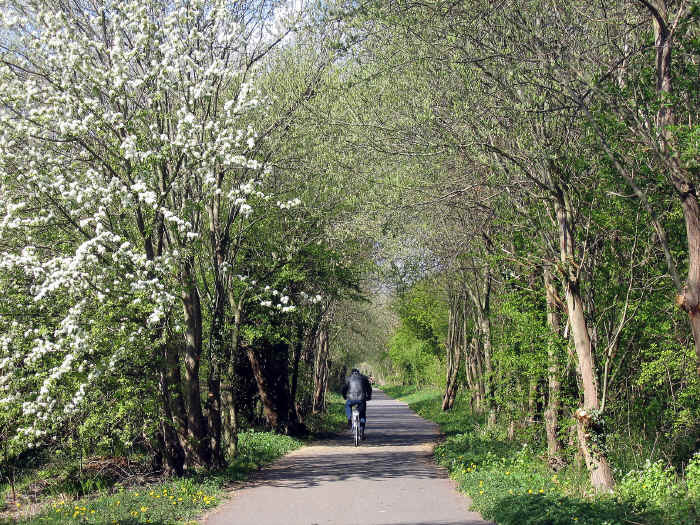 We are often asked for advice about cycling between Chester to Holyhead, towns which are linked by National Cycle Route 5. 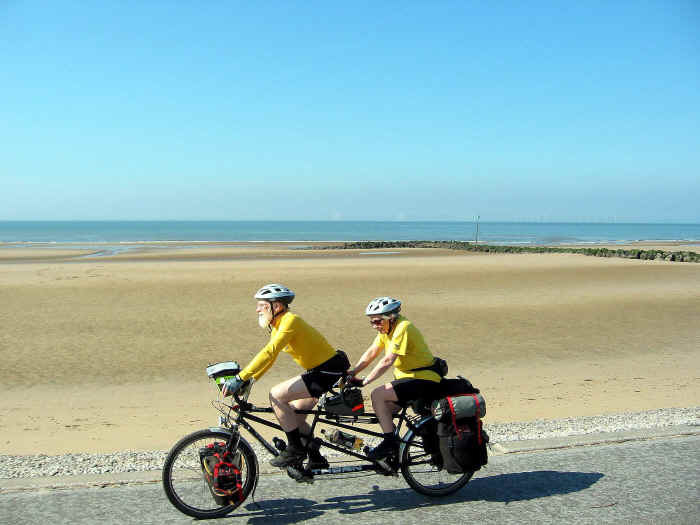 The trouble with NCR 5 is that there is no off-road coastal path between Connah's Quay and Talacre or Prestatyn, though it is hoped that one day there will be. 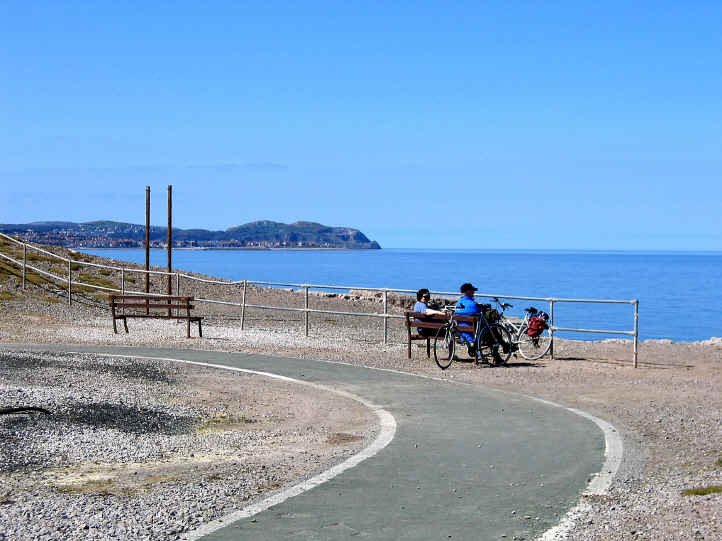 So at the moment, for the stretch between Connah's Quay and Prestatyn, the official NCR 5 goes via lanes that are hilly and some cyclists may find this official route rather tiring on a long ride. One solution is to consider cycling by the A548, which is a busy main road but does have adjacent cycle paths along parts of it. The Chester to Holyhead route is otherwise pretty straightforward. 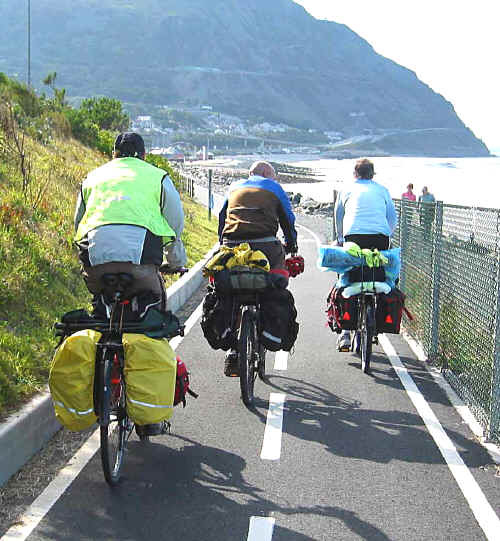 From Connah’s Quay to Prestatyn most cyclists seem to find it easier (that is with much less ascent) to stay on the A548 main road passing through Flint, Bagillt and Mostyn . Though this is a busy main road, sections of it have an adjoining cycle path. A more scenic but energetic alternative would be to go via Holywell, Whitford, Llanasa and Gronant. From Llanfairfechan to Bangor follow NCR 5 signs via lanes through Abergwyngregin and Crymlyn. 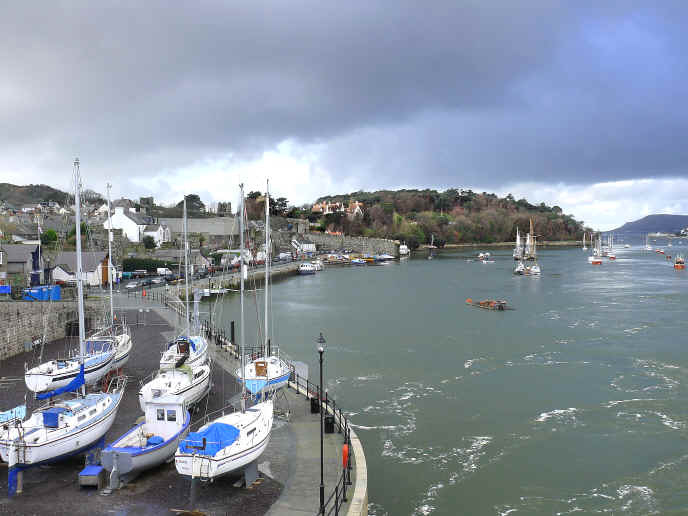 From the Menai Suspension bridge at Bangor to Holyhead you have a choice of NCR 5 and NCR 8 through Anglesey. Both go mostly along unclassified roads and are very well sign-posted, though NCR 8 is quite a bit shorter in distance and is the one we recommend here. Approaching Holyhead both NCR 8 and NCR 5 cross to Holy Island via the Stanley Embankment, which has a cycle path along it. 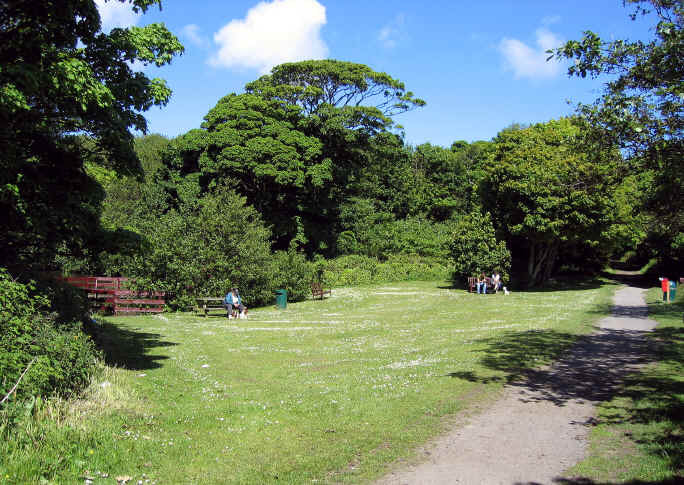 Both routes then take a short cut on the inland side Penrhos Coastal Park. It is much more scenic and only slightly further to stay on the seaward path through the park, rejoining NCR 8 & 5 at its exit.